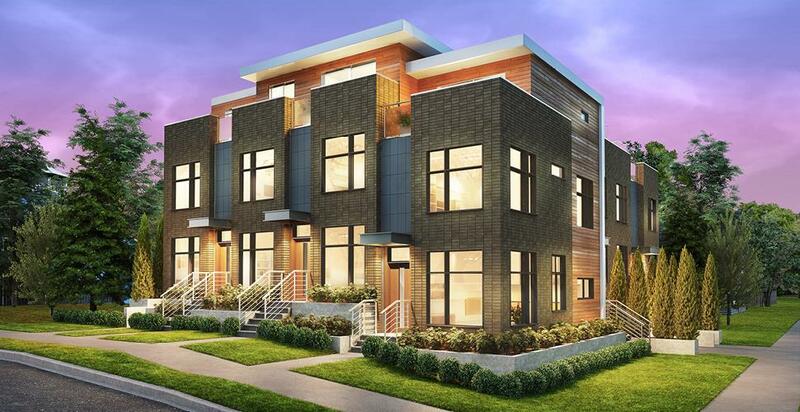 Created with families and livability in mind, Monogram is a limited collection of six modern townhomes now selling in Vancouver’s Commercial Drive neighbourhood. The three-bedroom homes, by Alliance Partners, range in size from 1,311 to 1,446 square feet. Monogram will be an architecturally distinct place to call home. The building boasts a West Coast contemporary design with brick and aluminium panels featuring wood accents. Each three-storey townhome includes a private deck located off the master bedroom, where residents can take in the beautiful city views. Built with smart spaces and modern design, Monogram homeowners can expect a lifestyle that seamlessly blends function and comfort. 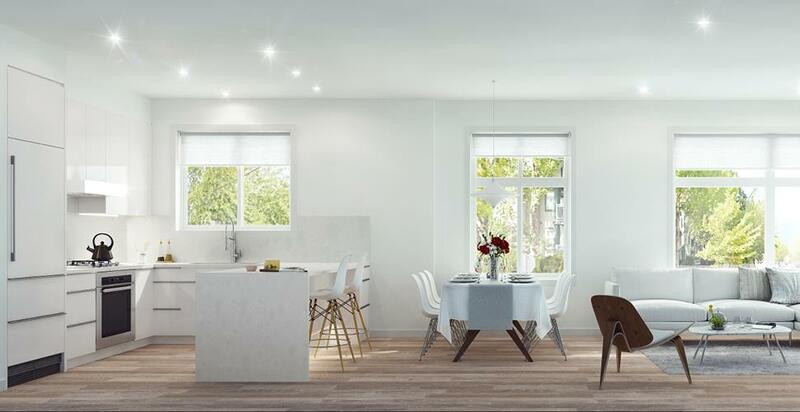 The elegant interiors are designed by Joy Chang Design Inc. and feature a clean and sophisticated colour palette. Throughout the homes are wide plank engineered hardwood flooring, along with over-height 9’6” ceilings on the main floor. For added convenience, the homes also include a split-unit air conditioning system. Perfect for entertaining, the open-concept kitchens include a premium Miele appliance package with gas range, modern flat panel glossy white cabinetry with under-cabinet LED strip lighting, engineered stone quartz countertops and waterfall island detail. Luxury continues in the bathrooms complete with diamond pattern porcelain floor tile, double vanities and a frameless glass shower in the master ensuite. Offering exceptional proximity to everything you need, Monogram is a walker’s paradise. Located two blocks off Commercial Drive at the corner of Victoria Drive and East Georgia Street, residents have an abundance of services at their disposal. Nearby amenities include markets, restaurants, parks, shops, schools and public transit access. Private appointments are now available. To receive the latest updates on Monogram, click here to register. For more information, call 604 808 5272, email info@LiveAtMonogram.com or visit LiveAtMonogram.com.